N-Tier Americas FATCA Module provides the most comprehensive and unique solution to the requirements codified as Chapter 4 of the Internal Revenue Code, the Foreign Account Tax Compliance Act [FATCA]. FATCA Processing is very similar to a Corporate Action in so far as it has Announcements, Holders, Effective Dates, Payable Dates, Notification Processing [Client and the IRS], and API processing. 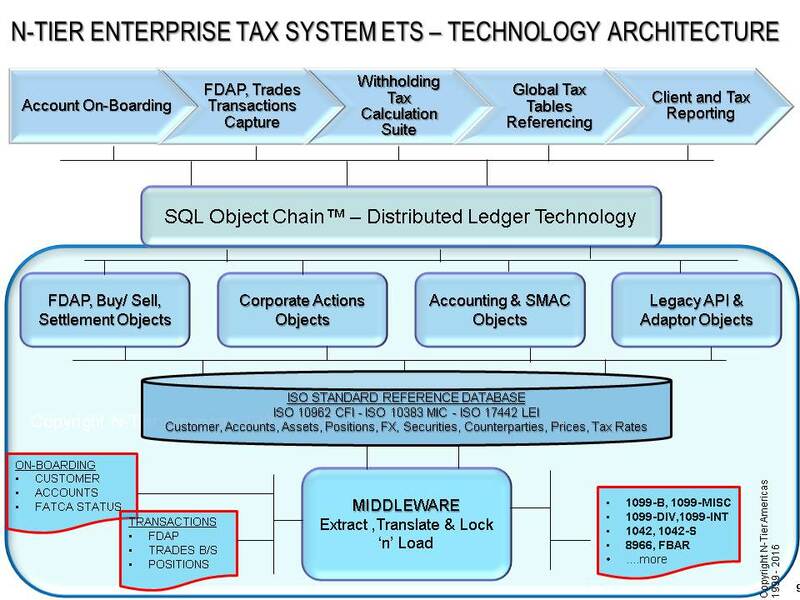 Our long experience of Corporate Action processing and Withholding Tax calculations gives N-Tier a unique edge in designing and delivering solutions to solve the problems many firms such as FFIs, USWAs will face when implementing their FATCA workflows. Consequently we can implement our FATCA Module in stages earlier than the effective dates issued by the IRS. This allows the firm to commence the project in full confidence that the objectives and goals will be met and surprises in the form of penalties and backup withholding will be avoided. The software provides the most comprehensive solution to the core tenet of FATCA processing - namely supporting the firm to address the IRS requirement on 'Standard of Knowledge & Reason to Know'. The processing of Withholding Tax on dividend and income payments has been more complex with the introduction of FATCA from the IRS in the United States and comparable legislation from the Canadian Tax Authorities and other tax regimes world-wide. The once straight forward computation of Gross Tax and Net based on the event rate is no longer possible. Paying Agents, Firms holding positions and payments on behalf of payees, and Intermediaries are now required to substantiate the tax status of the payee or face punitive fines and audits to ensure compliance. 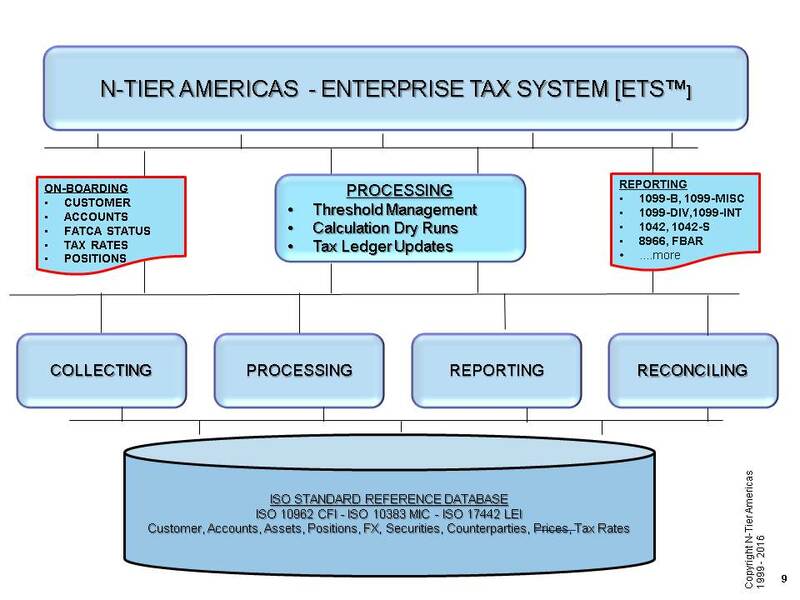 N-Tier Americas offers a unique solution to assist firms to re-engineer or revamp their Withholding Tax system. For many firms Withholding Tax comprises a forest of spreadsheets, paper forms and or PDFs stored across multiple locations. Many officers of the firm are involved in form gathering, checking and revising the final figures. This leads to errors in calculations, re-work and re-issuance of forms and confirmations.The bigger issue is that this complex process is growing and must be maintained year after year. Withholding Tax Tracker™ takes the firms daily transaction files and positions. The system maintains a separate table for Withholding Tax Rates for the 106 most common tax jurisdictions world-wide. Over 30 income categories are catered for as well as tax tables for all jurisdictions with default rates already pre-populated. The holders' tax status is maintained by code tables and each holder is linked to multiple accounts where applicable. This grouping allows for the provision of Income Threshold Management and its consequences for Tax Management. The tracker concept allows the firm to do many what if calculations based on latest data. Finally, the tax output tables hold the final tax calculations. 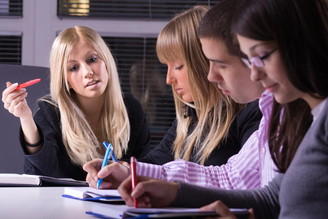 These tables are used to produce the various tax forms such as US 1099MISC, 8966. Tax forms are compiled in XML making suitable for upload to many of the world's self filing tax regimes in the USA, Canada, UK and so on.